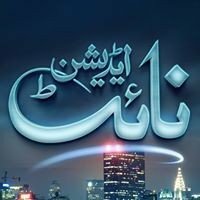 Night Edition is a unique night talk show based on the regular issues of nowadays regarding Religious, Political and culture. The show is hosted by Shazia Zeeshan along with Zafar Halali. Night Edition go live from every Friday to Sunday @ 10:03 pm only on 92 NEWS HD. If you are looking for Night Edition host-name, timings, latest news, and photos then you can find them here. You can also find the public reviews and opinions about Night Edition show here.